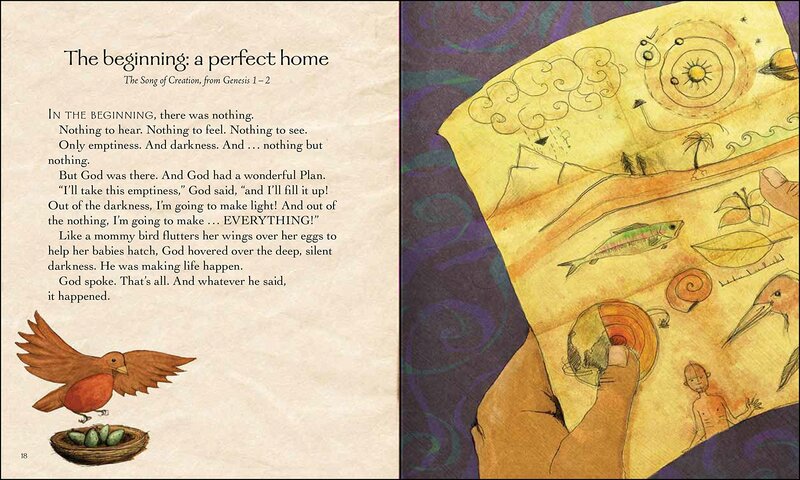 “The Jesus Storybook Bible: Every Story Whispers His Name disproves the adage that you can’t judge a book by its cover. Jago’s award-winning cover art is a foretaste of the whimsically insightful and richly colored drawings that await you on every one of the book’s 351 pages. The illustrations alone are worth the price of the book.... 22/07/2009 · Almost two years ago I picked up a book called The Jesus Storybook Bible: Every Story Whispers His Name by Sally Lloyd Jones. I loved it immediately and it has become a favorite (if not THE favorite) book on our shelf. 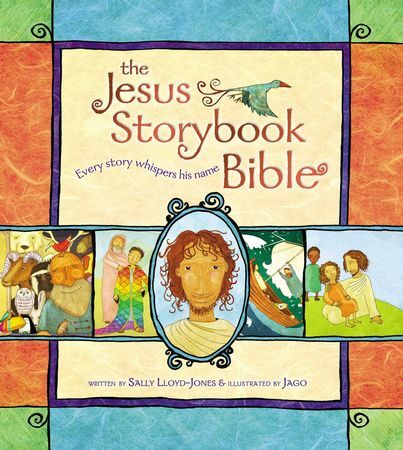 22/07/2009 · Almost two years ago I picked up a book called The Jesus Storybook Bible: Every Story Whispers His Name by Sally Lloyd Jones. I loved it immediately and it has become a favorite (if not THE favorite) book on our shelf. The Jesus Storybook Bible contains 21 stories from the Old Testament and 23 stories from the New Testament, presented in an easy-to-understand way that makes learning about the Bible as fun for younger children, preschool and below, as it is for older children, kindergarten to sixth grade. The Jesus storybook Bible : every story whispers his name / A collection of Bible stories invites young readers to discover that Jesus is the center of God's great story of salvation.